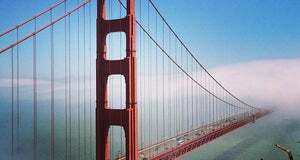 La mejor vista de San Francisco, vale la pena la fila de entrada. Pidan en Pollo Frito y las Carnitas, un must de la nueva escena nocturna. Great rooftop brunch place with view on the city. My compliments to Huarache - combination of eggs, tortilla, cheese and beef was perfect. 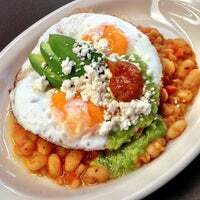 Friends had Benedictos and Gallo Pinto and enjoyed that too. The quesadilla with kale in it is made with the most delicious of corn flour tortillas. Get a pitcher of margs or piña coladas to share with your table. Really cool place. Awesome view of the city. Get early because it gets really crowed at late hours. Order Platano Maduro. You will love it. Good view and great food. Margarita pitchers are reasonably priced and potent! It gets busy, but the line moves quickly. Best to get a table so that you can comfortably eat and drink - get the guac! 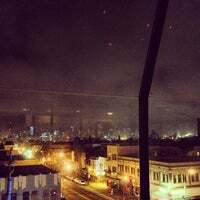 Super bomb Latin tapas (mostly Argentinian but also some other Latin American flavors) with a great view. I'd recommend putting your name down for a table instead of waiting in line for cocktails. 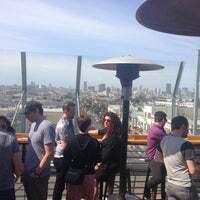 Great rooftop cocktail bar with views of downtown SF. Huge and good for groups. The pisco cocktail was perfect. 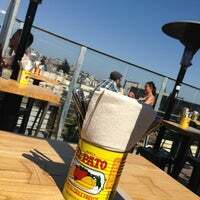 This place has great rooftop views, and pretty incredible tacos. 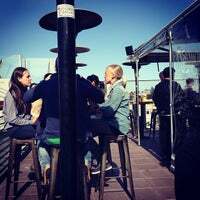 One of the best rooftop bars and restaurants in the city. Be sure to get there early or you'll be waiting in line! Excellent Sunday brunch place - Margaritas pitcher über tasty, eggs Benedictos noms, *amazing* view, (doubly so @ night) and reservations for Sunday brunch? Yuuup! No lines for you! Long waits, but on a warm summer night, it's worth it. 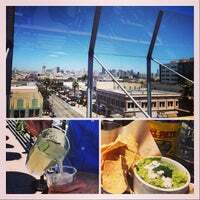 Sit on the rooftop with a margarita and get their carnitas, with a view to downtown SF. A perfect evening. 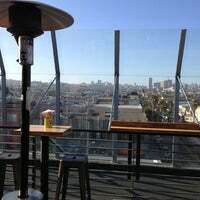 best rooftop bar in SF. come early on the weekdays or you won't be able to get in, much less get a table. don't even try on a sunny weekend. 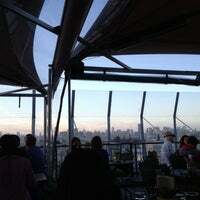 Amazing roof top bar with food view of the downtown , really good cocktail list. Loved their skewers. o cair da tarde vira agito já a partir das 16h, com drinks e quitutes de rua típicos da nossa América Latina.Peçao platano maduro, uma espécie de banana frita, meio salgada, meio doce. Book ahead for brunch. Good guacamole $10, salsa $5 and veggie scramble $13, between 2. 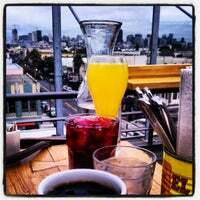 Book brunch in advance and enjoy the rooftop view. The chicharrónes are perfection! good mexican food and cocktails with amazing views. worth the wait, or go into the Lolinda, then to the bathroom and sneak in upstairs. The caipirinhas are surprisingly fantastic. The empanadas are also a solid bet, which isn't surprising given they're coming from Lolinda's kitchen. The beignets are delicious, as are the homemade tortillas. The chorizo sausage is to die for! The rooftop is nice but you have to get there early (esp. on Fri / Sat) or wait in an extremely long line. Margaritas are tasty and strong. 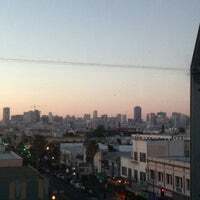 Great view of San Francisco, great place for a happy hour and don't forget to try the quesadilla with kale, is delicious! 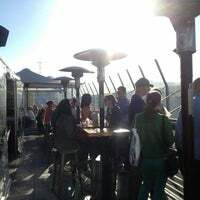 Nice rooftop bar with appetizers and cocktails and a good view of the city. Little pricey, but a good place for a 3-5 person evening. Little bit crowded and noisy but Carnitas is very tasty. Enjoy Mexican food under the blue sky. 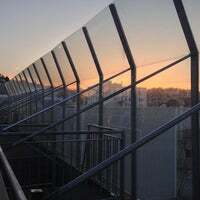 Extremely popular spot that is a little overkill with the capacity control, but their drinks are tasty and you can't beat the view. The plantain starters are really nice, and the guacamole is always a solid choice. Order the carnitas and enjoy the amazing view. Be prepared to wait in line outside, even on a weekday. Go on a sunny day and enjoy your chicharrones with a side of sunburn. Yes, the chicharrones is well worth it! For brunch, order a pound of the pork. It will change your life. Fresh guacamole with chips, tres leches cake, apple cider with gin, pork belly quesadilla, empanadas. 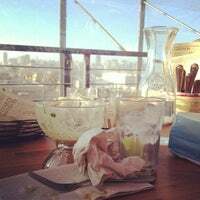 People talk about rooftop, scenic views, and margaritas. Check, check, and check! Oh and pork belly quesadillas!!! The views are to die for. Make sure to try the beignets. Great rooftop bar/restaurant. 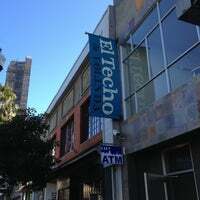 Try the ceviche, guac, and a pitcher of sangria! Perfect for rooftop margaritas on a warm night, especially at sunset. Bit of a wait, but once in the views are great, the food solid and they have cocktails by the carafe. More than just a rooftop view and margs. The pork shoulder is worth a special trip! 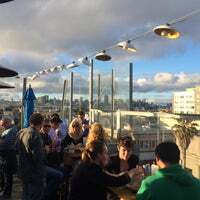 Iconic rooftop space in San Francisco: Lively, all-weather, classic Latino cocktails, cerveza, & tasty Latin street food. "Taco de aguacate, taco tropical, mezcal 7 misterios 👌"
"Sprouts are killer. Halibut was amazing. The rotisserie chicken was awesome too." "Pupusas de queso con loroco y chicharron"
"Carne riquísima, postre de chocolate espectadular"
"I loved their truffle tater tots. 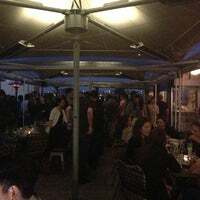 The outdoor seating is a great touch and good for meeting friends. And apparently they have Fernet on tap"
"Besides the laid back atmosphere and the chill vibe, we can't help but love Laszlo's happy hour deals - $2 beers and $5 vodka cocktails."